18ct white gold ring featuring an oval sapphire surrounded by a cluster of diamonds. A classic design finished with a contemporary touch. 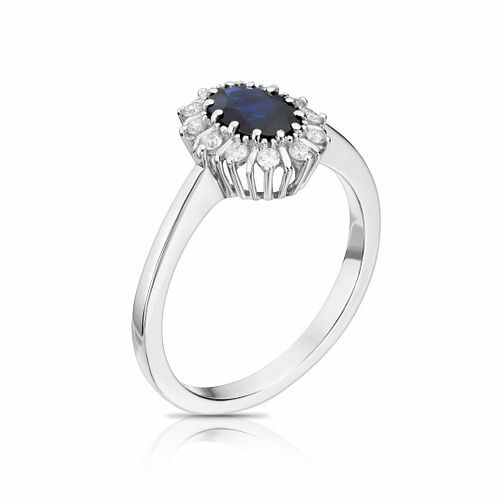 18ct white gold diamond & sapphire ring is rated 4.9 out of 5 by 9. Rated 5 out of 5 by Anonymous from Stunning ring very well made Great product, really well made and girlfriend is extremely happy with it.